Family Camp is this weekend! We are scheduled to arrive at 5 p.m. on Friday and enjoy a “pitch-in” meal together. The rest of the weekend will be full of delicious food, fall crafts, baking, a pie-eating contest, bonfire and s’mores, and plenty of free time for walks, puzzles, and board games. 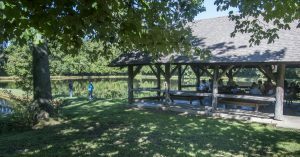 Meeting for Worship is at the lake Sunday at 10 a.m. If you are interested in joining us Sunday morning, but are unable to make it for the entire weekend, registration is not required. If you have not submitted a registration form, but are planning to attend, please contact Karin Heller karin@ngfm.org as soon as possible. Note; Family Camp information (schedule, directions, what to bring, etc.) will be sent via email to registrants.